I am in the process of demolishing my kitchen. My house is a little bit old. I am not satisfied with the look and organization of the kitchen. Actually, we were planning to shift to another home. But finally, we decided to stay here. Hence I thought of demolishing the kitchen. The tiles look unpleasant and dirty. We just started it. Since it's kitchen demolishing, we need to uninstall everything in the reverse order it was installed. We discussed with a contractor regarding the new updates, budget and all. We started the work. We have some junk to be disposed of. I thought of a bin rental to be used for getting rid of the junk generated after demolishing the kitchen. Is renting a bin expensive? Hello dianeV and welcome to the community. In some areas Home Depot sells a product called WM Bagster for smaller demolition projects. 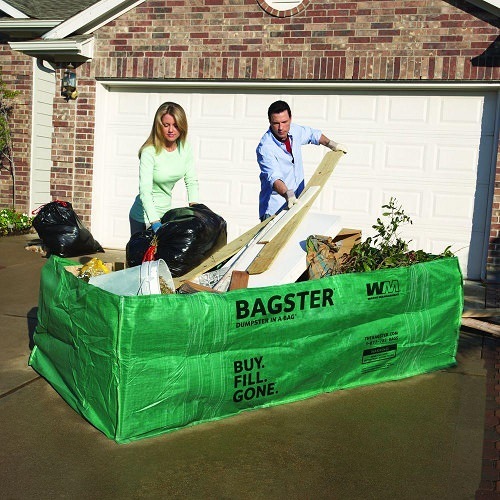 The Bagster itself cost about $29.95 U.S. but you would have to contact Waste Management for a quote for picking up the loaded Bagster. 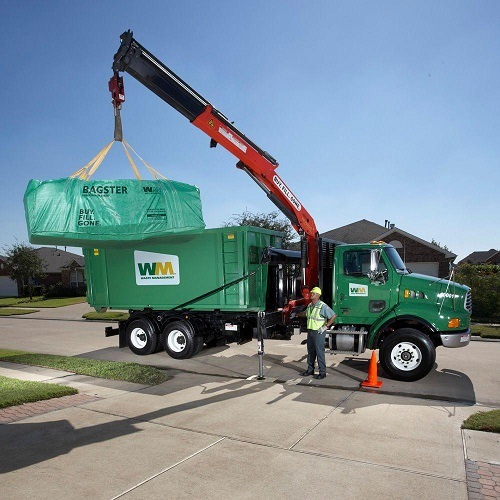 The WM Bagster Dumpster in a Bag serves as the perfect on-demand waste removal solution for your job site or home do-it-yourself project. You can fit up to 3,300 lbs. of debris or waste in it. It has a 606 Gal. capacity and is 4 ft. W x 2.5 ft. H x 8 ft. D This is one option for smaller demolition jobs. Home Depot does not rent “bins” or dumpster. There are usually several companies in most areas that do rent Dumpsters. Roll off Dumpsters are available in different sizes. I suggest you Google Dumpster rentals for your area and contact them directly to determine what size you will need and to get and estimate. As Chris suggested, if you remove the cabinets carefully and they are still usable, you could also donate them to the Habitat For Humanity Restore. They will even pick them up for you. Charlotte of the Home Depot How To Community. Hello dianeV. Welcome to the Community! Here in the U.S. garbage collection companies will rent, deliver and haul away heavy metal dumpsters in 5, 10 and 20 cubic yard sizes. They roll off the back of a large flat bed truck and are typically fairly expensive to rent. You commonly see these dumpsters behind commercial buildings that generate a lot of waste on a weekly basis. Roofing contractors will utilize these when stripping a roof off an entire home. You pay for the Bagster at your local Home Depot store, and then bring it home and fill it up. Once ready for removal you would contact Waste Management for pickup. Please note that there is a fee charged by Waste Management for this service. You can call them for more information at this number: 1-877-789-2247. While you are at it also ask them how much they charge for conventional dumpsters in your area. That way you can compare the cost of all options.